Local media reported that the Philippine gambling regulator, PAGCOR, is planning to add a casino at the Army and Navy Club located in the country’s capital. The property is currently being redeveloped to a boutique hotel. An unnamed insider said that the new casino is scheduled to commence operations early in 2017. Representatives of the regulator could not be reached for comment. Although it was not documented when the club was established, first evidence about the existence of such a venue dates back to 1898. The Army and Navy Club was in fact the first American social club in the Philippine capital. 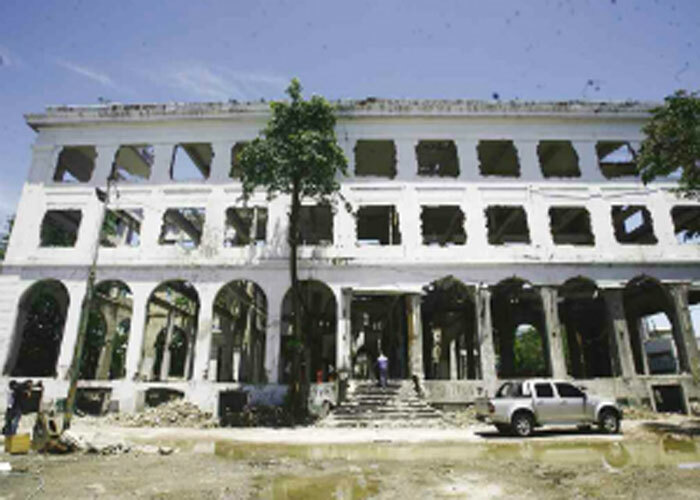 In 1991, the National Historical Commission of the Philippines declared the building a national historic landmark. According to documents provided by the anonymous source, the Army and Navy Club is owned by the Manila city government. Reportedly, city officials leased the club to Oceanville Hotel and Spa Corp. The property was then sub-leased to Vanderwood Management Corp. The latter company, in turn, leased part of the venue to PAGCOR. The unnamed insider told local media that such transactions were quite unusual and violated the Philippine procurement law, or Republic Act 9184, under which only the absolute owner of a given property is permitted to grant it on lease. Furthermore, being a relatively new company, it is rather doubtful whether Vanderwood should be allowed to undertake such a major project. According to the insider, PAGCOR agreed to lease part of the Army and Navy Club for a period of 15 years back in March. However, no public bidding or notice of award were published. This could be considered violation of the Republic Act 9184, under which all procurement activities carried out by the Philippine government need to be subject to public bidding. The anonymous source also noted that yet another law was violated. Under the National Cultural Heritage Act of 2009, turning the Army and Navy Club into a five-star boutique hotel and casino could be considered unlawful. As mentioned above, the club is a national historic landmark. Another unnamed insider told local media that a plan for the expansion of casino operations to Museo Pambata was also proposed. The building, which had once been home to the former Elks Club, was also declared a national historic landmark.